Those who have seen Mortal Engines say it's epic!! There's been some nervous fans, sifting through the tea leaves trying to figure out if Mortal Engines will be any good. This fear of failure was because the first trailer was a bit hokey and come across as a Young Adult film like Twilight or The Maze Runner. Adapting a crazy book about giant cities roving the country side eating each other is a bit of a gamble in Hollywood so it's pleasing to see that early exit reports of those leaving preview showings of the film are very positive. "I was lucky enough to see an advance screening of Mortal Engines today. It was epic, vast and very cool. It does not disappoint. See it in a good cinema, you'll be pleased you did!" " But in short: the film is fantastic. It has a strong emotional core to back up the extraordinary visuals and cinematography. I'd also say it's the most original and creative film released this year"
"I was really impressed with the movie. its pretty much a fantasy version of the Star Wars OT in terms of story yet i wasn't bored. the screenplay isn't brilliant but it was serviceable. the visual effects are incredible, when they fire the super weapon at the end it blew me away. All the Air battles were awesome too. Overall id give it a 7.5/10, i'm really surprised by it and it should be seen purely for the visual effects (although the plot and character did interest me)"
"Had a great night at Sydney premier of #MortalEngines last night- an epic ride!" 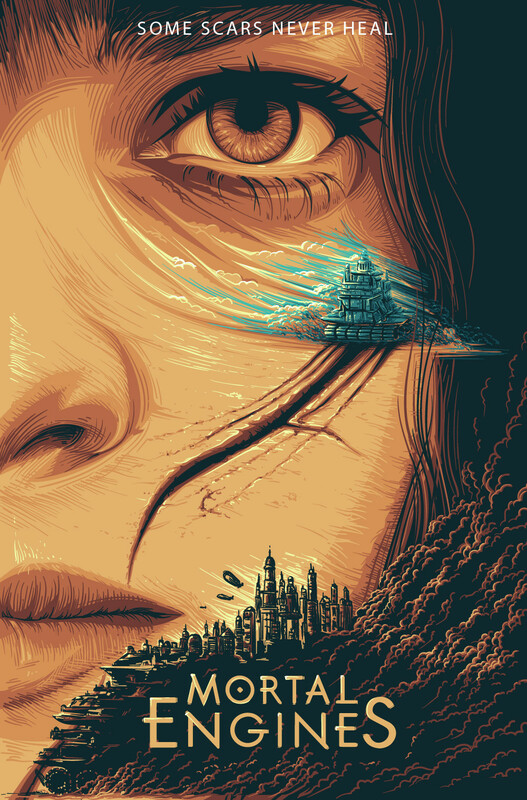 "Saw mortal engines and it is really good, the advertising does it a great disservice. Well worth a watch!" "So privileged to have seen the pre-screening of #MortalEngines and a very subtle homage to Bowie I slipped in there. Such an EPIC film - can't wait to see it again." I've also read that Shrike is too scary for kids so that sounds great! I have not seen a bad word about said about the film by anyone who has seen it! Sounds like everything is coming up Millhouse!